A little late but finished this build over July 4th weekend and decided to go with the theme. 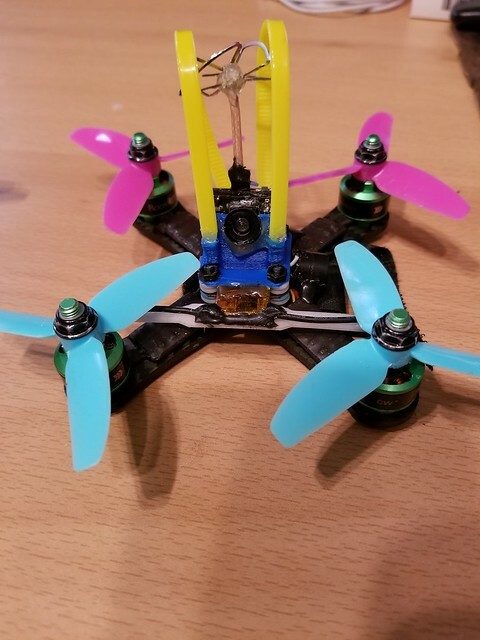 It's a simple build and finally got to maiden it properly this weekend. It's fast but lacking a bit of low end. Took it through a few 1300mah 4s pack and no issue at all and super happy. 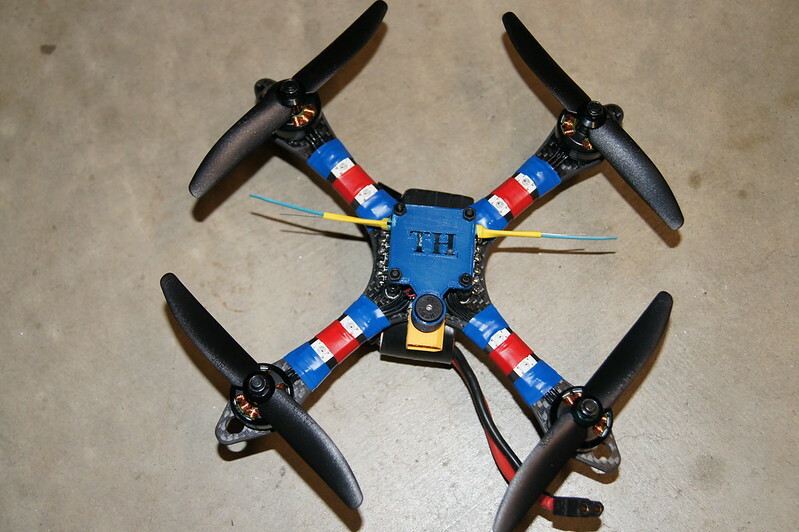 This is my first quad flying with the X-lite and it feel very different from the Taranis. Will post about the X-lite on another blog. Full throttle and it does crazy..not sure if it's a "death roll" from a de-syn issue or something else. Tried raising the min throttle, lowering PID, on 3S, all with the same result....time to bring it back home and troubleshoot..
20x20 FC cover plate for the PikoBLX with buzzer and tiny LED..
Another flight controller plate/cover. The hot blue method I have been using to hold the buzzer was a little messy so something new. I really like how it came out on the BLX4 so this time it's 20x20mm for a Crusader 130mm build (will be in another blog). 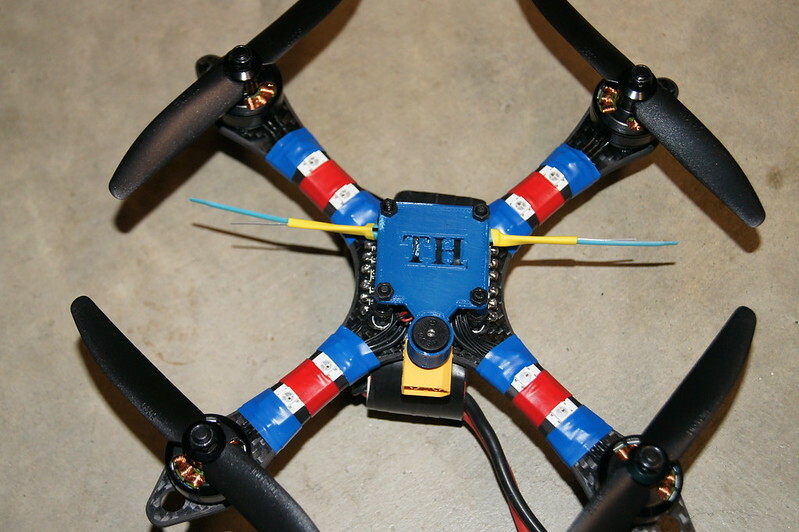 It's covering a PikoBLX flight controller. After a few revision I've also added a two front/back plate to house an LED. I wish I had gone with a RGB instead but maybe that will be in the next build. 1. BLX4 155mm from Armattan Productions. This frame has a weird spacing, 28x28 with 20x20 in the center. 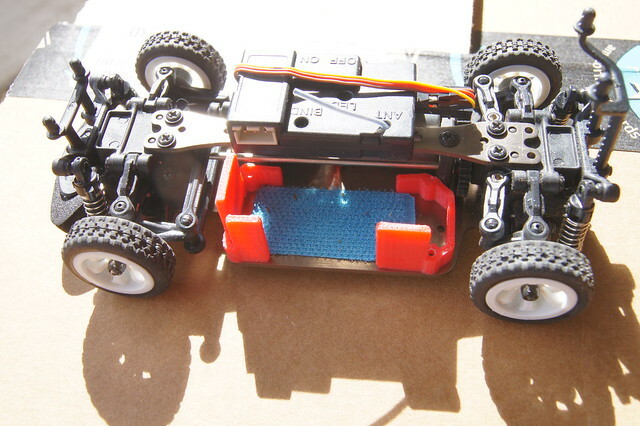 A 30x30 PDB was use with a slight modification to fit 28x28. 5. FrSky XSR, got these use for $7 and were in excellent condition. 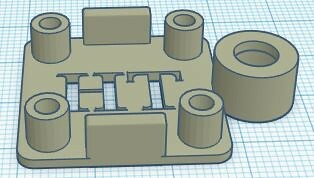 It fits nicely between the PDB and 3D printed plate. I've purchased this frame awhile back and finally get to complete it. Luckily I have all the component to complete it without purchasing so it only took a few hours to complete it. The goal was just to get her up in the air and see how she would handle. I was totally surprise at how stable it hover and pretty much thanks to all Betaflight it was so smooth in the air. These are 'old' components so nothing fancy other then a F4 fc. 1. Martian 220mm from BG. The fitment is a bit tight when the 4 arms join together but with a little elbow grease all went together nicely. For the price the frame came with a PDB/XT60 and the aluminum spacers are purple so that's theme I went with. 2. 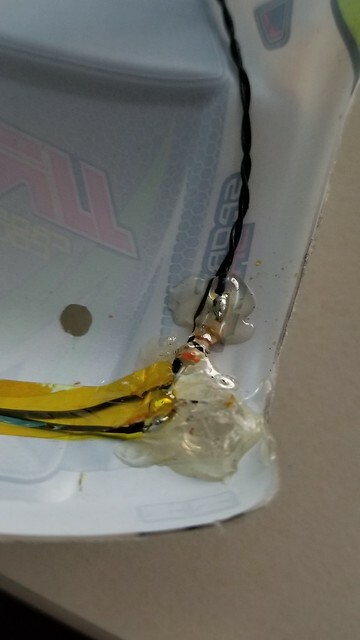 I had some RCX H2205 2633KV and older DYS 30A ESC. 3. 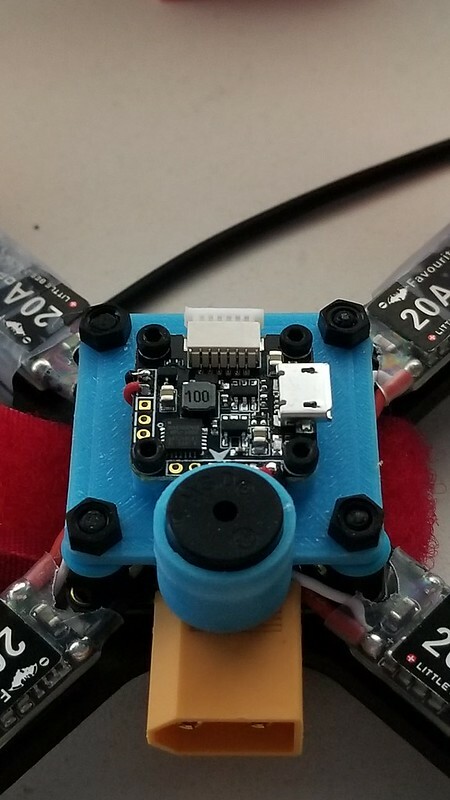 Revo F4 flight controller...I need to switch this out later. It's giving me a 'loss of power' glitch intermittently and that's why I remove it from the Fubar 130mm (I think). 4. Gemfan 5040 tri-blade propeller. 1. 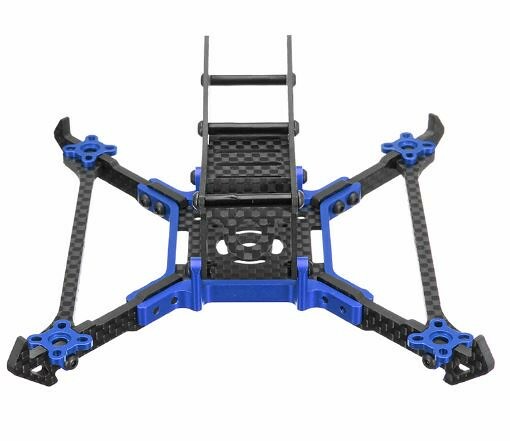 Price is just right at $79.90 from HobbyCool directly or $99.90 from Amazon. 2. 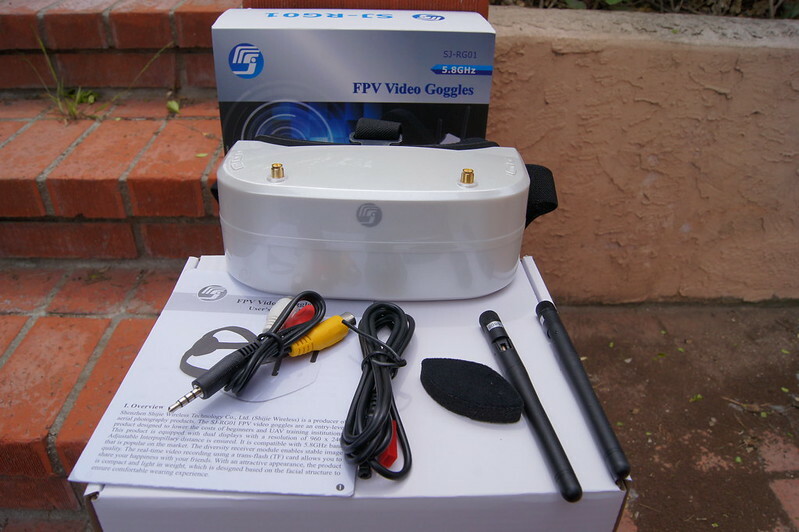 Package comes with 2 rubber ducky antenna, charging cable (DC 6-28V), video/audio cable, nose foam and instruction manual. 3. 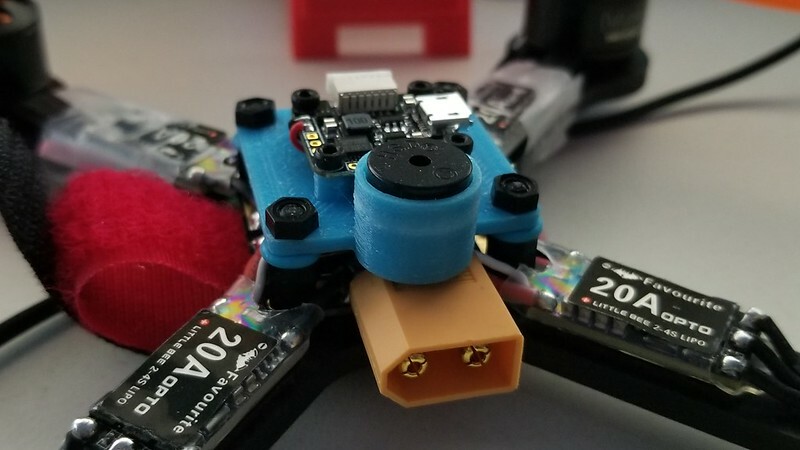 The size of the goggle is between an Eachine VR600 and an Eachine EV800D. 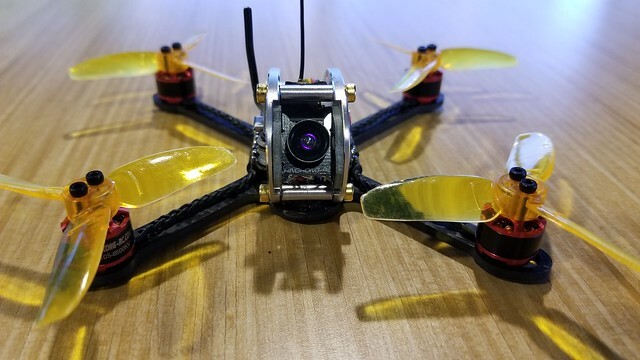 This has better fitment on my oblong face then either Eachine except for some very small light leakage in the nose area. This can be fix with the included foam. 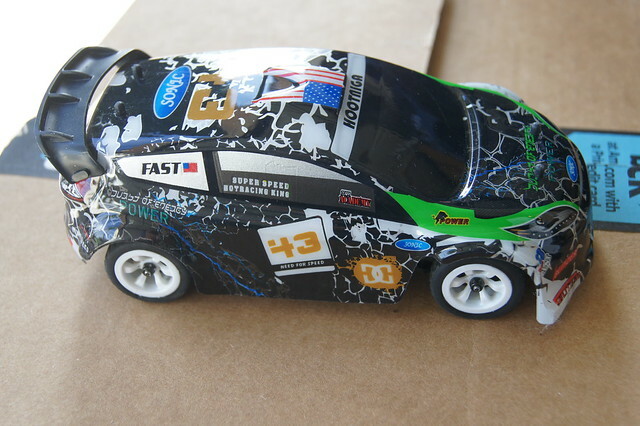 Took a few months off to play rc cars and back getting some much needed maintenance and builds... . I wanted to rebuild my 130mm with the Tornado 1407 after it took a crash and broke one of the arms. 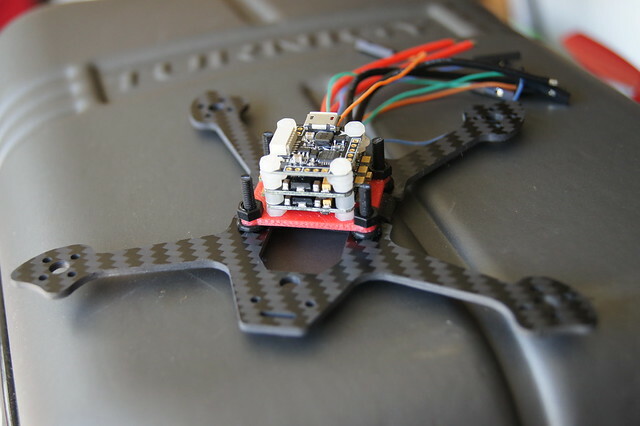 I always wanted to add a FPV system this time so I went with the Realacc Blackbird 140mm 4mm from BG. 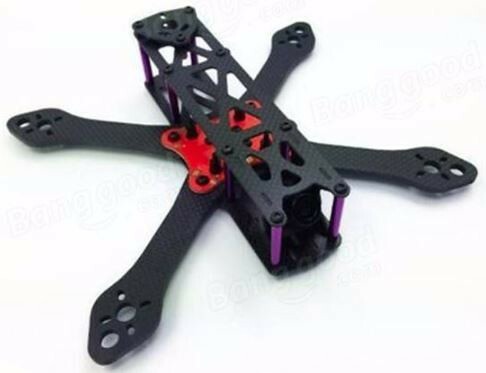 I was hoping the frame would give me enough clearance to run 3.5" props. 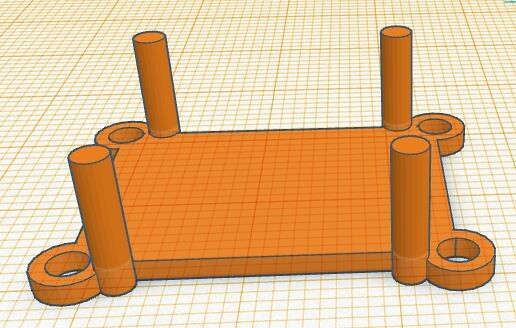 I was wrong, there is no way to remove the 4 supporting post to another position on the frame. I think these motors are a waste running on 3" props and might be switching them out for 1306 instead...But before I do let's get some photos and flight footage. Managed to lower frame by a couple of mm. The original is the black. 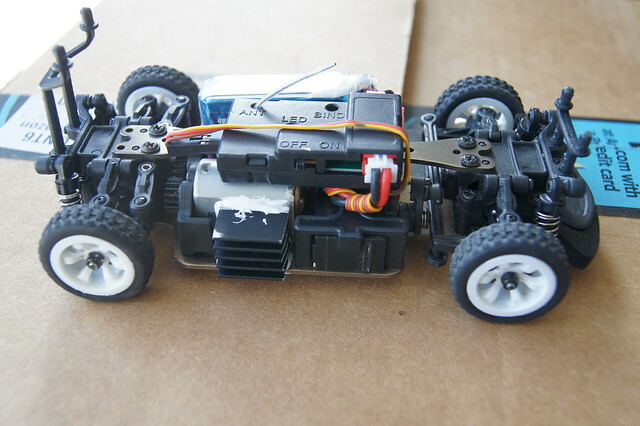 Still taking a break from quad stuff so here's another micro rc car. Got this on sale for $36 and it's not too bad. Had to adjust the steering a bit to get the most throw I can from left/right. From factory the trim to the too much to the left and still can't get it perfect but now the turning radius is much better. 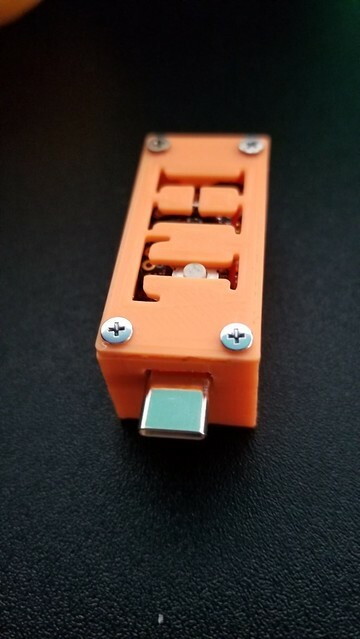 There is also no need to modify the battery space to accept the 520mah as it fits perfectly. So far there has been no diff issue like I had with the K989 and I've ran it pretty much full throttle on asphalt. So far, the only modification has been to add LED to the body and it's awesome....however hot glue is just too hot on the body and some area has warped. Will take this mistake and be careful with my next install. Taking a break from quad stuff and just so happen to see this little guy in Youtube. The K989 is currently on sale at HK for $40 shipped from US location so I got one to try. 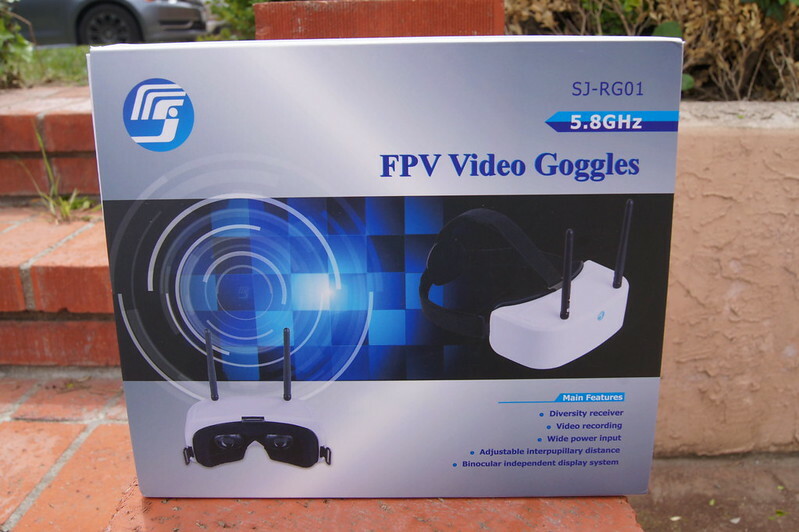 Also wanted to have something small and try FPV on the ground. This little car is fantastic for the price. Yes, it's a brush system but it comes ready to drive. 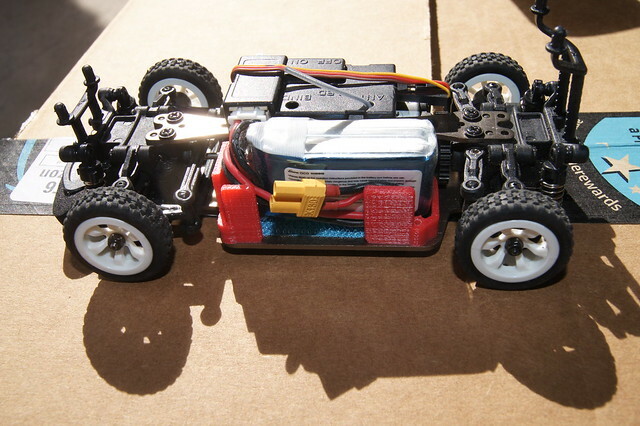 It included a battery (lipo I believe), USB balance charger and remote (look like a clone of the DX3 series). HK did not send me this product to review, fully purchase from me because it was well cheap..lol. 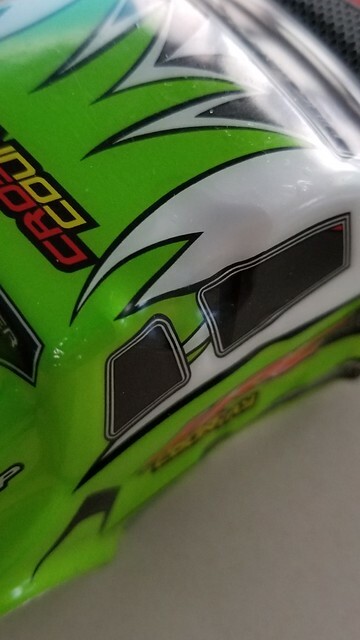 Here are some thoughts on the car. 4. Diff can be a hit or miss, mine rear diff is still working but my front ones needed a little TLC. 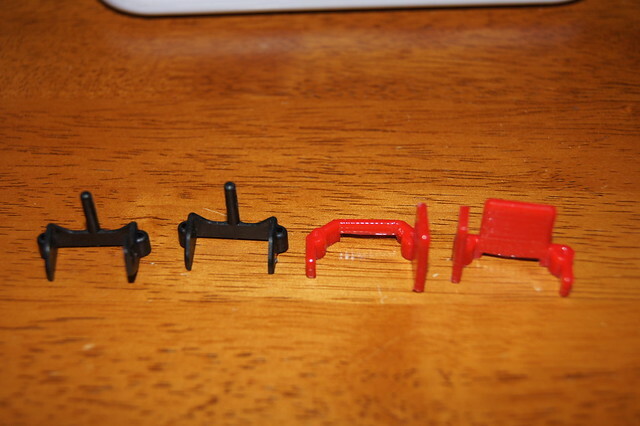 The plastic planetary gear and rings need to be inspect and remove any plastic. A few drop of diff lube, re-tighten the gears and we're good to go again. 1. 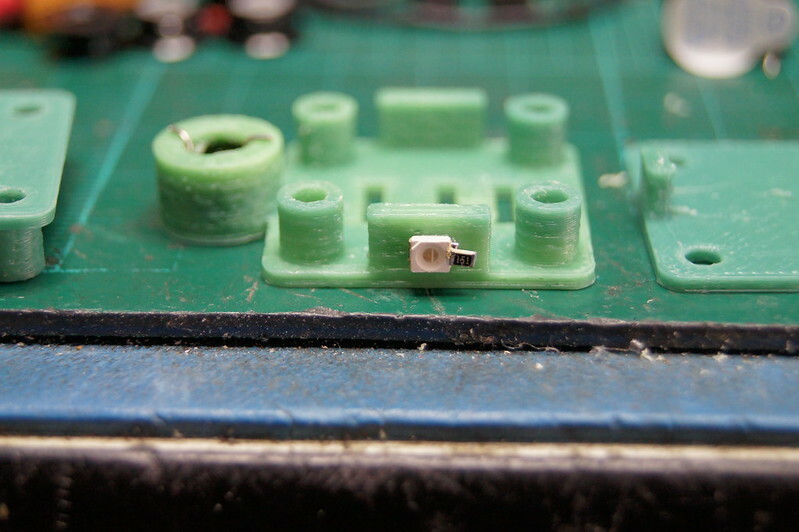 Extra heatsink to help cooling the motor down. I can actually touch the motor after a run now compare to before, definitely a must..
My first attempted on a 3S build with 1104 didn't go so well. 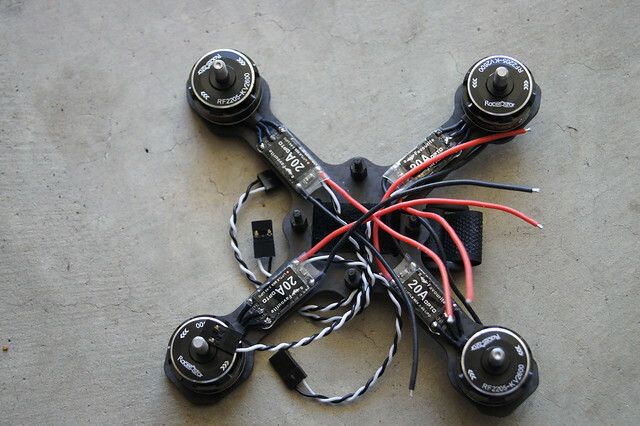 It was bad choice using 8500kv as it is to high and the motor would heat up to much to handle 3S. The quad (Flying Egg) handle 2S great so I kept it as is. I've recently purchase the Jumper X86 a few weeks ago but the performance is so weak. So I've decided to gut out the motor (1104 7500kv) and see how it would handle on 3S. 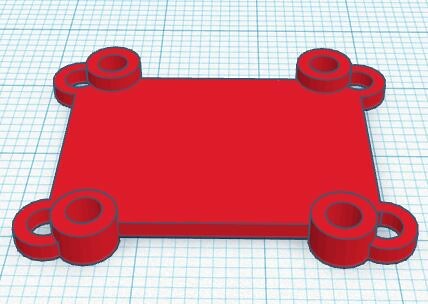 My own "stack", the "red" part is a custom plate since the mounting holes is some weird dimension...Also I need to keep the stack very short or it will not fit once the cover is snap in place. I've completed another quad. First impression was very disappointing last week. 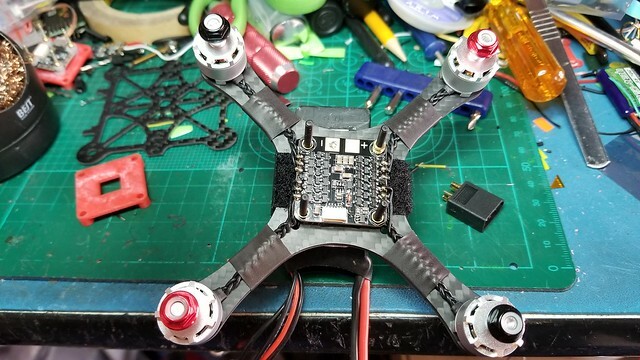 The intention of this build was to use on 3S but going with 1104 8500KV was a mistake. 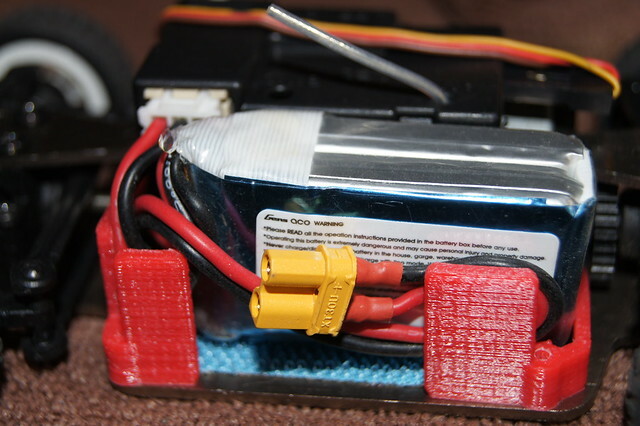 The motor was hot and had so much vibration that tuning was very difficult. The frame came with 2840 tri and these props are pretty awesome in term of sound. They were super quiet and really wanted to use them. So after stripping it down and added more silicon dampener the vibration was almost gone. It was much easier to tune and decided to lower it to 2S instead. I was really surprise that even on 2S it had a lot of punch...so to finish the build I wanted to add some AKK AIO. The distance between the aluminum is too small for any of the AKK that I currently have. 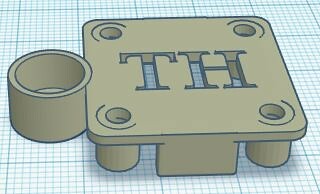 The only one that would fit is a micro 800TVL cam that I had for a brush quad similar to this. 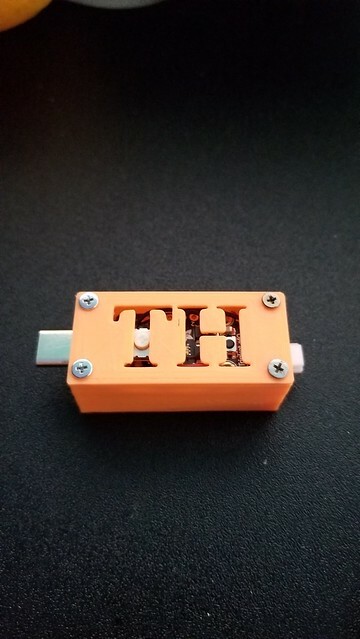 The transmitter is a 200mw VTX02 from BG. The problem is trying to fit all of this under the aluminum frame and the only place for the vtx is right behind the camera. 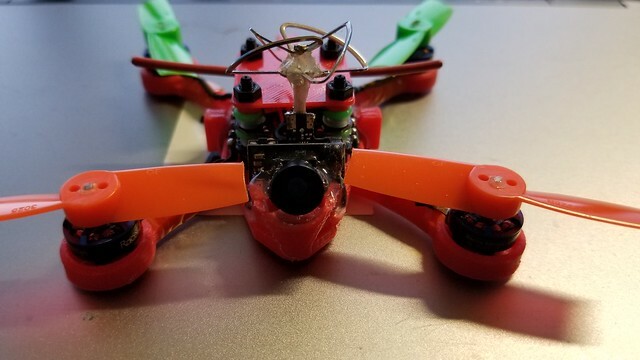 There are no mounting holes so hot-glue to the rescue....just hoping that the vtx does not get hot enough to melt the glue. KingKong 110GT 2S and 3S build in progress..
Back from vacation and currently in the process of building a 3S build with the KingKong 110GT. It's a cool looking frame with the plastic cover that protects most of the electronics. 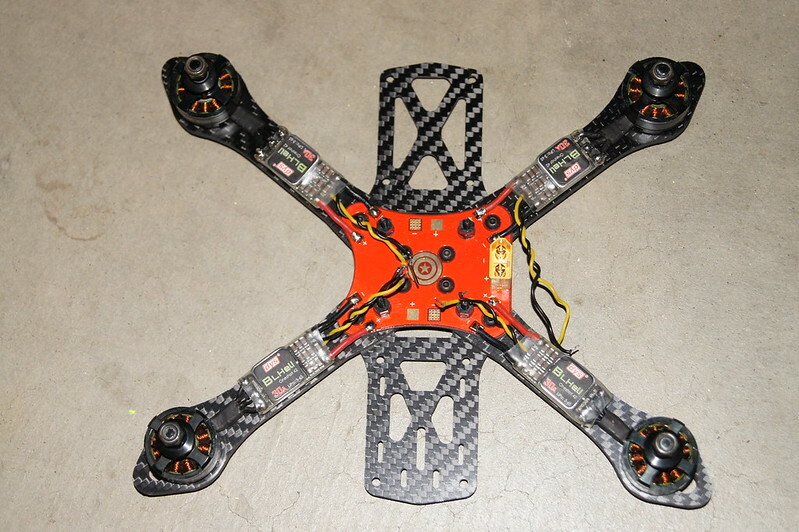 Running into some bad luck lately with FPV quads. 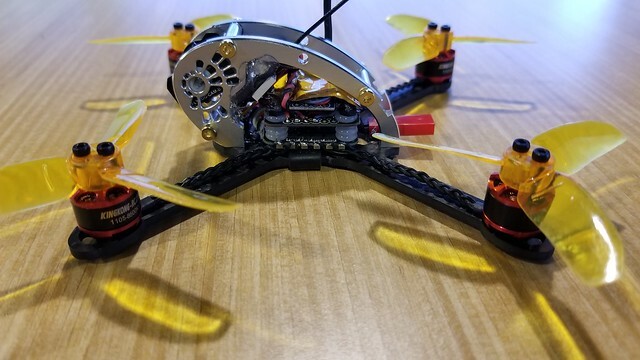 Finished a HellBender 122 with RacerStar 15A (discontinued) and it flew great until a small drop and ESC1 die....no clue why. Replace it and test it with 3S and 4S before taking it to the park yesterday. Two minutes into LOS flight to double check and down it goes. Manage to retrieve it and the whole thing is up in smoke. Look like ESC3 burst in flame. What the h***..............can it get worst??? 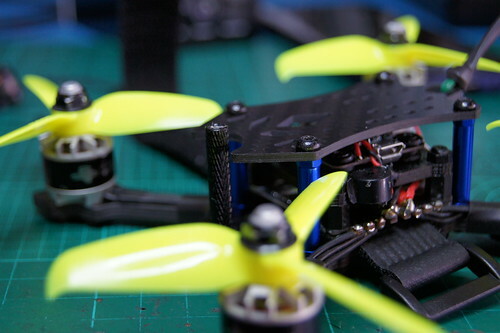 It has been a few months now that I have flown the micro but it's back and better now. The issue I had before was then when I bank more then 30 degrees the quad would get this "weird" jerk or pull until I level it out again. Initial guess was that one of the esc had die when I try dshot 600 which took out the flight controller. The flight controller was replace and this new weird issue start popping up. There it sat in the garage for a few months as I had other quads to repair. Here's my review of the HobbyMate X130 Kit thanks to HobbyMate of course. 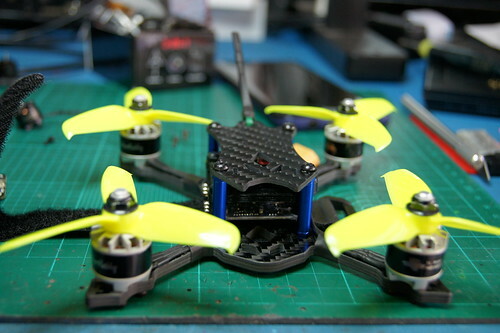 This build went very smooth, no issue with the fitment of the parts and and the carbon fiber is pretty good. There was no "black" residue on the edges however you might want to sand it down a bit to smooth out the edges especially where the battery strap goes through. 3. 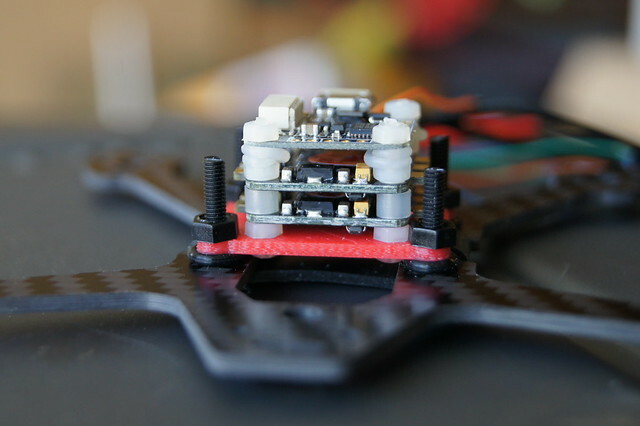 Frame is built for FPV, the addition of a "pod" is great and pretty much the norm now..
4. Frame, good quality and no alignment issue, everything came together like it should.